Blockchain is an open, distributed digital ledger that can record and share transactions between two or more parties efficiently, securely and permanently. Blockchain enables transportation companies to more accurately track shipments, routes and trucks while providing a highly secure platform that permits faster processing and payments. Blockchain applications in the transportation/logistics marketplace are expanding globally. 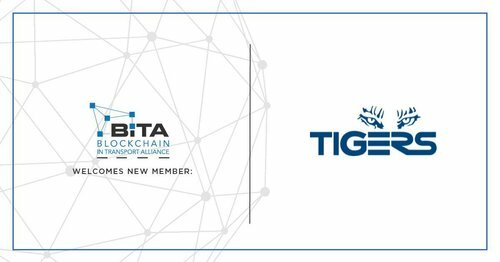 BiTA is dedicated to developing best practices and standards for blockchain in transportation/logistics. The Alliance and its members are developing standards and education in blockchain technologies for the freight, transportation and logistics industries. Tigers offers clients a full enterprise solution, from freight forwarding to inventory management, fiscal representation to omni-channel fulfillment, and the ability to trade products such as wine and luxury fashion items on the Tigers eShop. In 2018, Tigers launched SmartHub: Connect, a Microsoft Gold-certified technology platform using Microsoft Azure Data Warehouse and Firewall features for its fast-growing e-commerce fulfillment business. SmartHub: Connect is also available on a mobile application and is unique in the industry, combining freight, e-commerce and logistics in one Cloud-based portal.